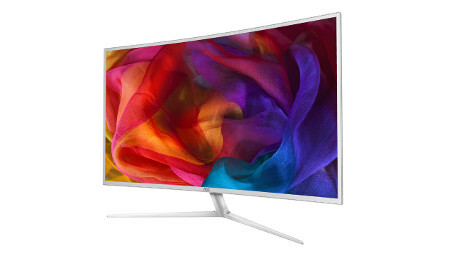 In other words, the C4008VU8 would be the perfect monitor for creative projects or productivity work assignments. The asking price of $899.99 for the AOC C4008VU8 might seem to be a wee bit on the steep side, but if you were to take the kind of benefits, both short term and long term, into consideration, then you would know that there is more to it than meets the eye. With its curved VA panels which come with a 3840×2160 resolution while boasting of 1.07 billion colors, you will be able to enjoy more depth and richer color thanks to more vibrant images. VA is perfect for graphic designing, video editing or photo retouching, where users are able to view spreadsheets or watch movies from virtually any angle without experiencing any compromise in color uniformity. To go along with it are 60Hz refresh rate, wide-viewing angles and 5ms response time. The incorporation of flicker-free technology in the backlight system provides for a more comfortable and healthier viewing experience. Need to check out two screens at once? Not a problem, since PiP (Picture in Picture) is also supported, letting users watch a live video feed while working on their PC. Any takers?